Can Gabby Mendoza escape her deadly pursuer, and save her friends from a supernatural threat the likes of which she's never seen before? Gabby Mendoza just wants to be a normal teenage girl. Unfortunately, she’s facing some serious obstacles in the “normal” department. For one, she’s living out the zombie apocalypse in an underground bunker. 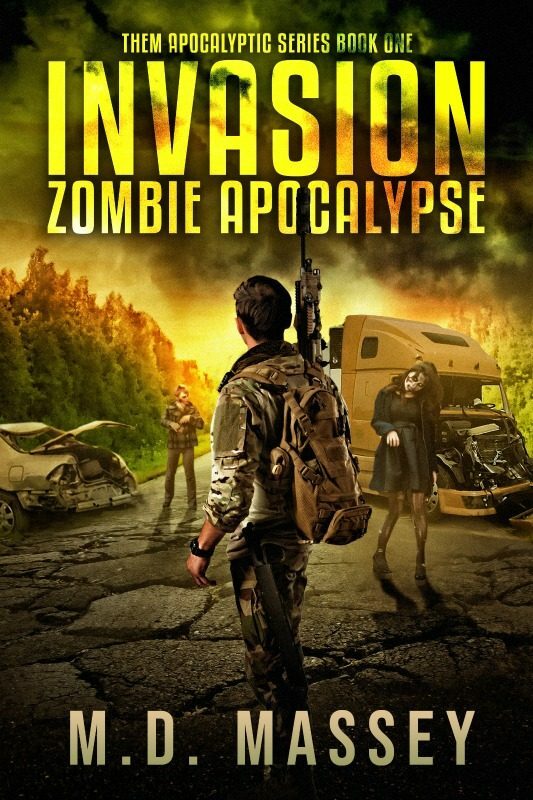 Second, she’s been raised by her crazy ex-CIA uncle to be a petite zombie-killing machine. And third, she’s not entirely human. 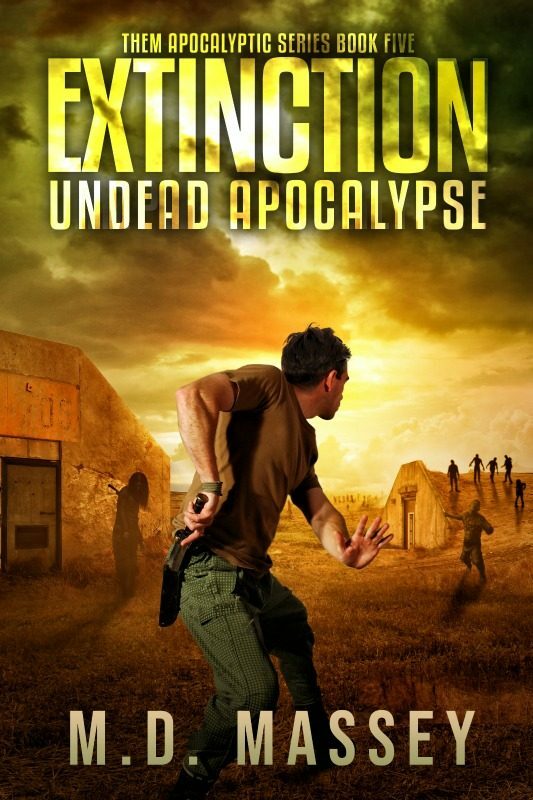 Now, Gabby has to help her borderline sociopathic uncle track down the one person who can save the world from the paranormal apocalypse… before a werewolf or some undead nightmare finds him first. It’s a good thing Gabby packed plenty of ammo, because she’s gonna need it. Gabby Mendoza just wants to be a normal teenage girl. Unfortunately, she’s facing some serious obstacles in the “normal” department. For one, she’s living out the zombie apocalypse in an underground bunker. Second, she’s been raised by her crazy ex-CIA uncle to be a petite zombie-killing machine. 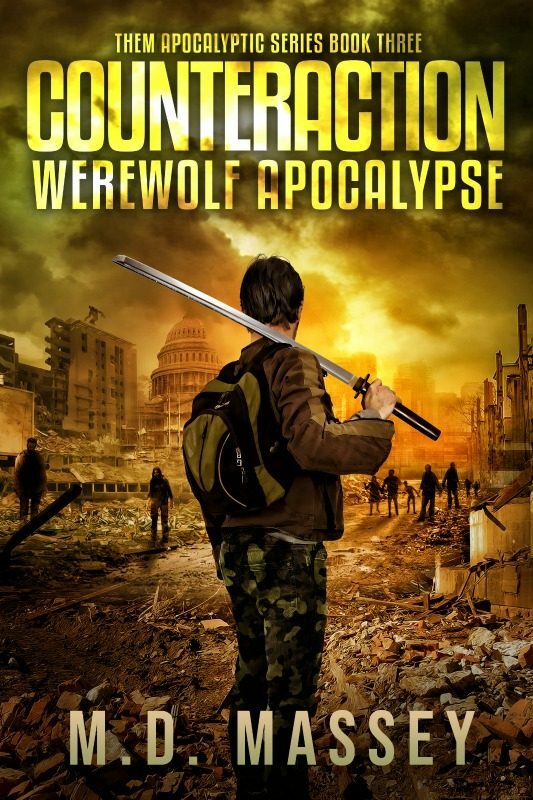 Now, Gabby has to help her borderline sociopathic uncle track down the one person who might be able to save the world from the paranormal apocalypse… before a werewolf or some undead nightmare finds him first. 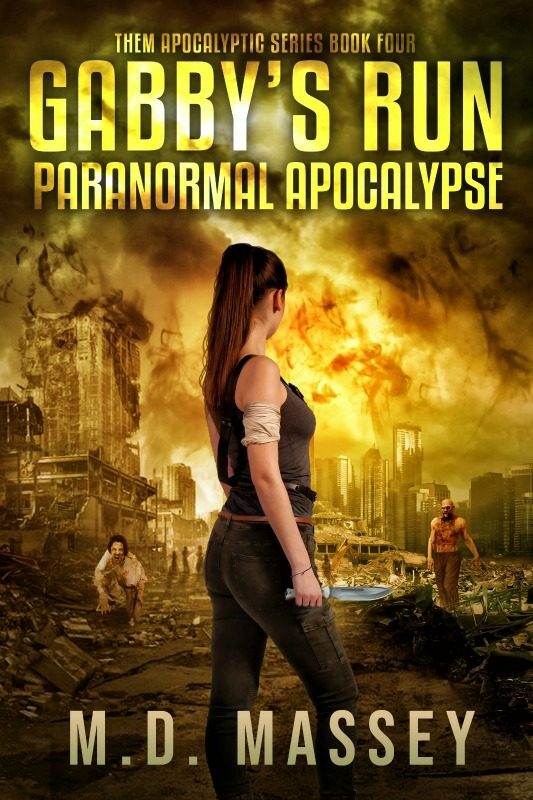 THEM: Gabby’s Run is an adrenaline-fueled romp through a post-apocalyptic world terrorized by zombies, vampires, werewolves, and creatures that would make H.P. Lovecraft check under the bed. 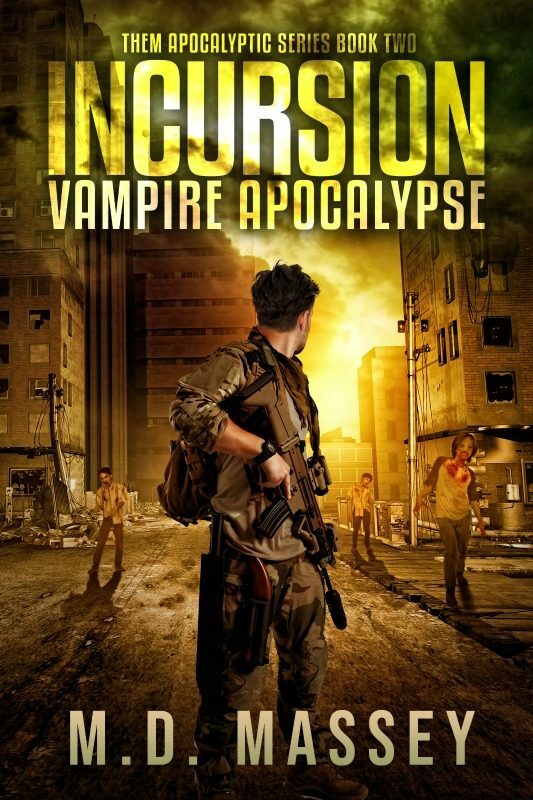 If you’re a fan of paranormal fantasy, zombie apocalypse novels, or SHTF fiction, you’ll love spending time with Gabby Mendoza while she cuts her teeth as a zombie hunter. THEM: Gabby’s Run is the fourth book in M.D. 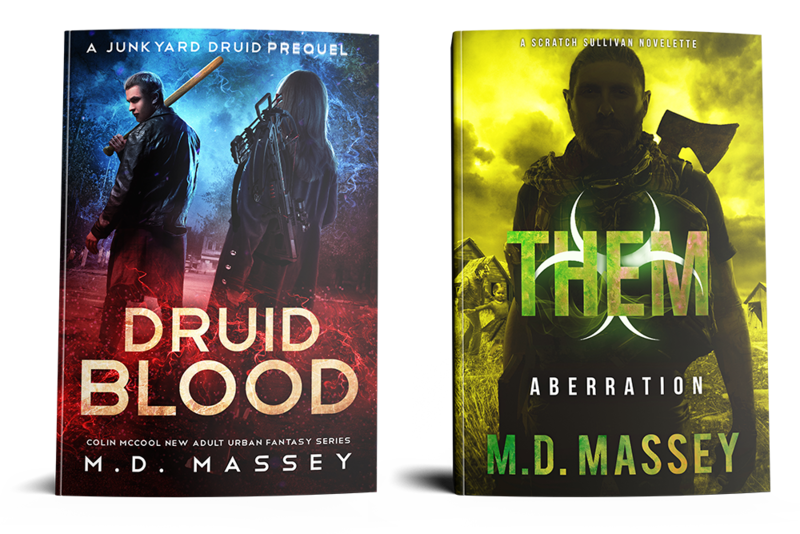 Massey’s THEM Paranormal Post-Apocalyptic novel series, and can be read as a stand-alone novel or after books Zero, One, and Two in the Scratch Sullivan series.